Yesterday, President Trump laid out his goals for a federal tax overhaul, during an address in Springfield, Missouri. While the speech was short on detail, the broad objectives outlined by the President provide a good starting point for thinking about what a potential tax reform could look like. The President began his address with a call for eliminating loopholes from the federal tax code. This is probably a good sign: too often, when lawmakers talk about tax reform, they focus only on the benefits of lower tax rates. But closing loopholes in the tax code is also a vital part of tax reform: it helps offset the revenue loss from lower tax rates, while helping to level the playing field between different economic activities in the tax code. Of course, talking about simplifying the tax code only goes so far; at some point, lawmakers will actually have to specify which provisions in the tax code they intend to eliminate. Luckily, they will have many options: there are over 150 credits, deductions, and other preferential provisions in the federal tax code, which will collectively reduce federal revenue by trillions of dollars over the next decade. Lawmakers should feel emboldened by the President’s remarks to target the vast majority of these provisions for elimination (while preserving provisions that are genuinely broad-based and structural), and use the revenue to lower tax rates across the board. The second principle in the President’s speech was that a tax reform bill should be oriented toward economic growth. This is actually not a trivial point: every tax change affects the U.S. economy differently, and lawmakers should be careful to choose tax changes that offer the biggest economic bang for their buck. Specifically, the President called for lowering business tax rates in the United States. This is a promising direction: the corporate income tax is one of the most dysfunctional features of the federal tax code, and the U.S. statutory corporate rate is the highest in the developed world. However, the President neglected to mention other opportunities for pro-growth reform of the business tax code, including full expensing – which would have a stronger economic effect than a simple corporate rate cut. In addition, the President did not specify exactly what he meant by “our business tax rate.” In the past, the Trump administration has indicated an interest in creating a new, preferential tax rate for businesses that are not taxed as corporations (known as pass-through businesses). But this approach would raise several challenges and could complicate efforts to simplify the federal tax code. The third principle outlined by the President – lowering taxes for middle-class families – is probably the most challenging one. This is because providing tax relief is expensive, leading to lower revenue for the federal government. Meanwhile, Republicans are trying to pass a tax bill through the reconciliation process, which prohibits legislation from increasing the federal deficit in the long run. Trying to pass a large middle-class tax cut alongside a tax reform package could make the legislative math very difficult. The final principle listed in the President’s speech is probably the least compelling of the four. It is true that, the U.S. worldwide tax system incentivizes companies to hold trillions in assets overseas by taxing multinationals when they transfer their money from their foreign affiliates to the United States. 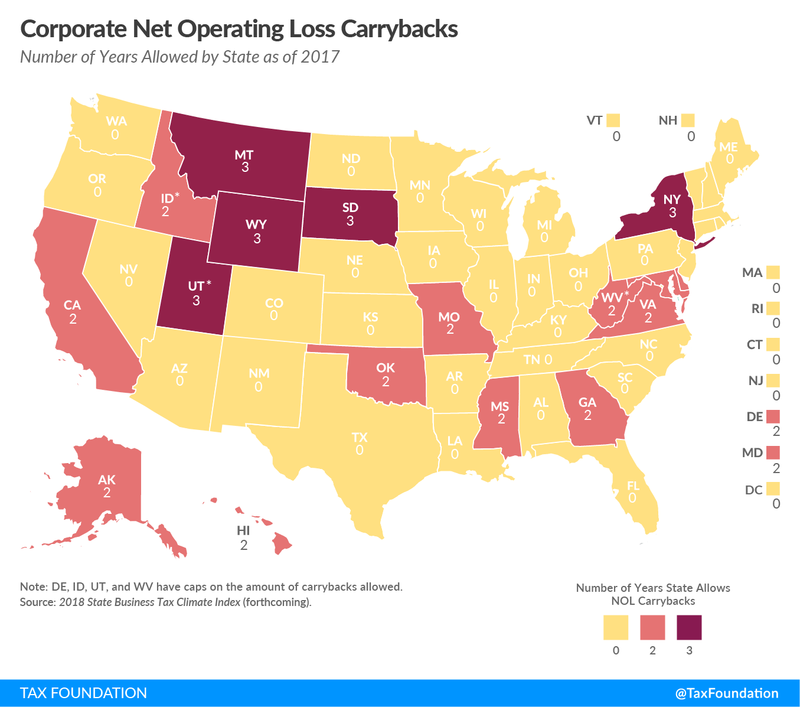 However, there is not clear evidence that policies to temporarily encourage companies to bring their money back to the U.S. would lead to a larger economy in the long run. Instead of focusing on the money that U.S. companies currently hold overseas, the President should focus on how to reform the tax code’s rules regarding foreign income going forward. Many lawmakers have called for moving to a territorial tax system, under which companies would no longer be taxed on income earned in foreign countries. Such a system would likely be an improvement over current law, but would also require new rules to define where income is earned and safeguards to prevent abuse and base erosion. 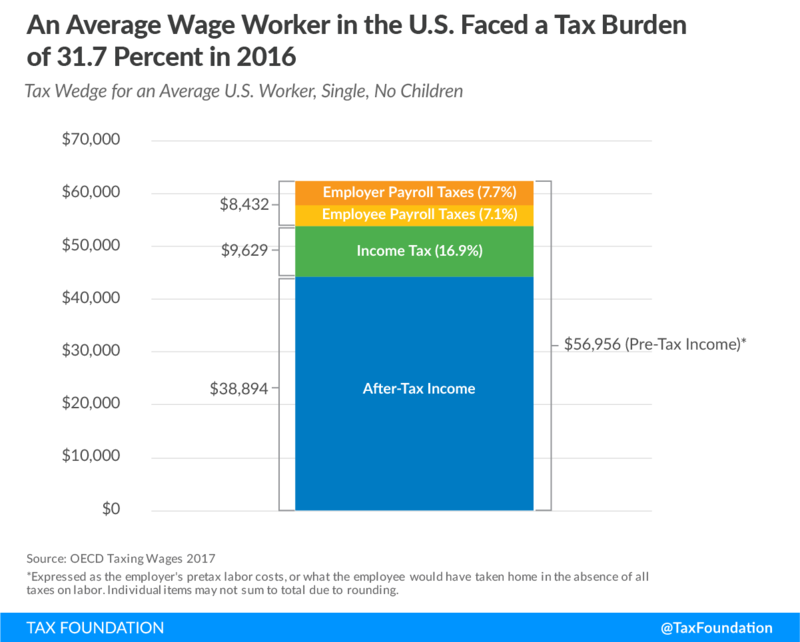 The total tax burden faced by average wage earners in the United States is 31.7 percent of their pretax earnings, paying $18,062 in taxes in 2016, with $9,629 in individual income taxes and $8,432 in payroll taxes. The total tax burden faced by average U.S. workers is the 26th highest in the OECD, below the 35-country average of 36 percent. Many OECD countries have high payroll taxes, such as France, which places the highest payroll tax burden of 37.3 percent on average workers. A significant source of tax revenue for most countries comes from taxes on wage income through individual income taxes and payroll taxes. Most industrialized countries have progressive taxes on income, which means higher-income individuals are taxed at higher rates than lower-income individuals. However, many countries also levy significant payroll taxes to pay for major government programs. Combined, these taxes can place a substantial tax burden on the average worker. The most familiar component of wage taxation in the United States is the federal individual income tax. The federal income tax has a progressive rate structure with marginal rates on single filers that range from 10 percent on the first $9,325 of taxable income to as high as 39.6 percent on income over $418,400. In 2014, 77 percent of taxpayers fell into the first two brackets, while less than 1 percent of taxpayers paying the top rate. The United States levies two major payroll taxes on wages and salaries. The first is a 12.4 percent tax which is used to fund Social Security (Table 2). This tax is levied beginning on the first dollar an individual earns in wages and self-employment income up to a cap of $127,200 in 2017. This cap is adjusted to wage and changes each year. Legally, the tax is paid half by employers and half by employees. The second is a 2.9 percent payroll tax to fund Medicare. This tax is also levied beginning on the first dollar of income but has no cap. As with the Social Security payroll tax, this tax is split evenly between employers and employees. An additional 0.9 percent Medicare payroll tax applies to wage income over $200,000 (this cap is not adjusted for inflation). Unemployment Insurance (UI) is a joint federal and state social insurance program that insures workers against an unexpected loss of income due to job loss. The tax that funds this program is a payroll tax levied on the employer. The federal unemployment tax is 6 percent on the first $7,000 of payroll. 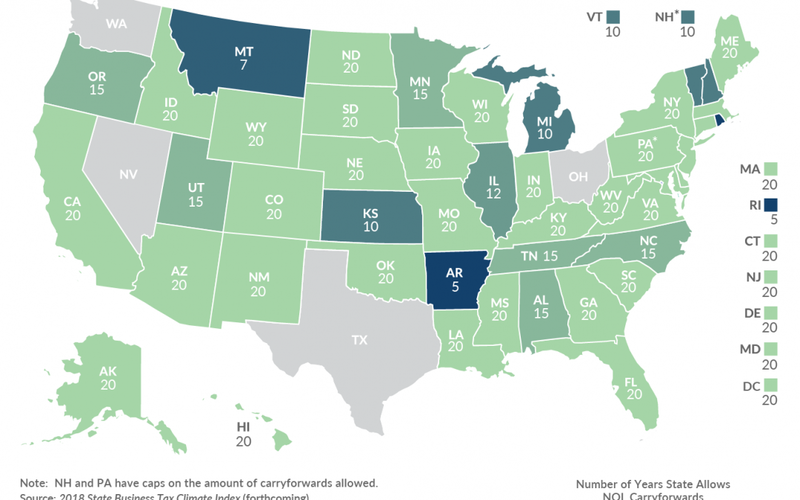 However, states also set UI tax rates to fund their portion of the program. State UI tax rates and bases can vary substantially. The variation is based on how frequently an employer’s workers receive unemployment benefits. 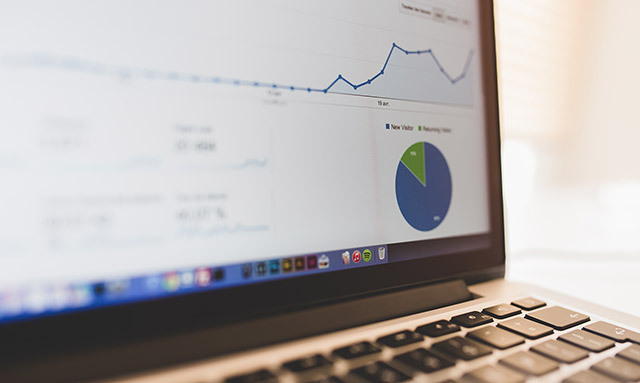 If an employer is likely to hire and fire their employees at a higher than normal rate, the employer will face a higher tax rate. For example, Kentucky taxes employers for the first $10,200 of a worker’s wages at rates between 1 and 10 percent. In contrast, Alaska taxes the first $39,800 in wages at a 2.23 percent rate. A classic example of the difference between the legal and economic incidence of taxation is the cigarette excise tax. Legally, producers of cigarettes pay this tax. However, it is generally accepted that smokers ultimately bear the burden of this tax. This is because producers, faced with this excise tax, will increase the price they charge for cigarettes. Since most smokers do not significantly reduce their consumption when faced with higher prices, they will purchase about the same amount of cigarettes at the new price. Thus, producers are able to shift most of the economic burden of the tax onto their customers. Every year, the OECD surveys all 35 member nations on their labor tax burdens. The OECD calculates these burdens by adding together the income tax payment, employee payroll tax payment, and the employer-side payroll tax payment of a worker making the average wage in each country. The OECD then divides this figure by the total labor cost of this average worker, or what the worker would have earned in the absence of these three taxes. This is called the average tax wedge on labor income. In 2016, the OECD found that the average worker in the United States faced a tax wedge of 31.7 percent, which includes income and payroll taxes. The OECD estimated that in 2016 the average U.S. worker paid an effective individual income tax rate of 16.9 percent and an additional 14.8 percent effective payroll tax rate (7.1 percent on the employee side and 7.7 percent on the employer side). The average worker in this case is a single worker without children who earned an annual income of $52,543. (Figure 1). 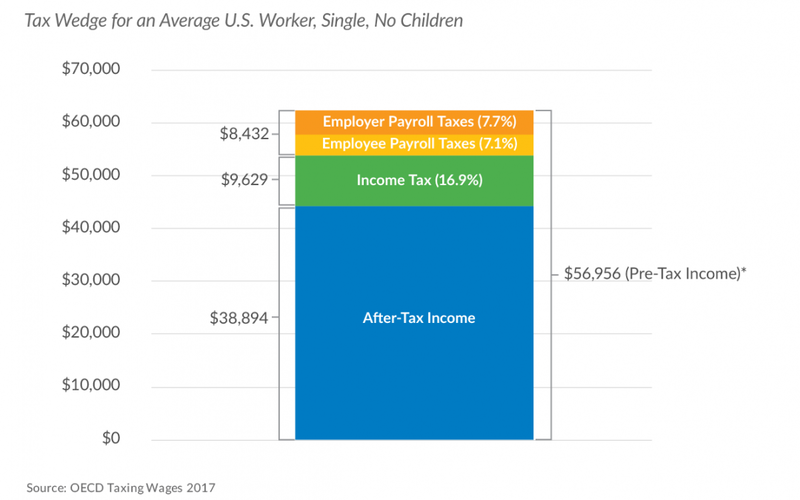 The 31.7 percent tax wedge for a U.S. worker represents a $9,629 average individual income tax bill and an $8,432 average payroll tax bill for a total average tax bill of about $18,062. The result is an after-tax income of $38,894. In the absence of these three taxes, the average worker would have taken home $56,956. 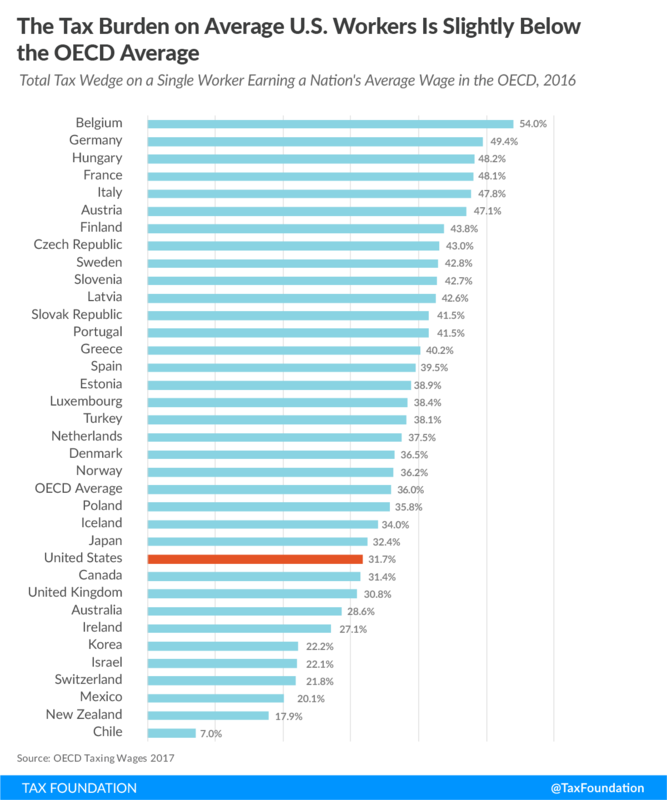 Compared to the United States, other countries in the OECD place a relatively high tax burden on average wage earners (Figure 2). The OECD has an average tax wedge on average income earners of 36.0 percent. This is about 4.3 percentage points higher than the U.S. tax wedge of 31.7 percent, which ranks as the 26th highest in the OECD. The highest total tax burden on wage income is in Belgium at 54.0 percent, followed by Germany (49.4 percent) and Hungary (48.2 percent). The country with the lowest total tax rate on its labor is Chile at 7.0 percent, followed by New Zealand (17.9 percent) and Mexico (20.1 percent). As in the United States, payroll taxes in other OECD countries go toward funding social insurance programs. These programs, especially in Europe, tend to cost a significant amount. As a result, most OECD countries’ high average tax burdens on labor are due to high payroll taxes (Figure 3). The average combined (employee and employer) payroll tax rate in the OECD was 22.6 percent in 2016, which was 7.8 points higher than the U.S.’s combined rate of 14.8 percent. France had the highest combined payroll tax burden of 37.3 percent, followed by Hungary (36.6 percent) and Austria (36.3 percent). These three countries’ payroll tax burdens alone are greater than the total tax burden on laborers in the United States. The countries with the lowest combined payroll tax burdens were Australia (5.6 percent), Denmark (0.8 percent), and New Zealand (0 percent). New Zealand is the only country that does not levy a payroll tax on the average worker. 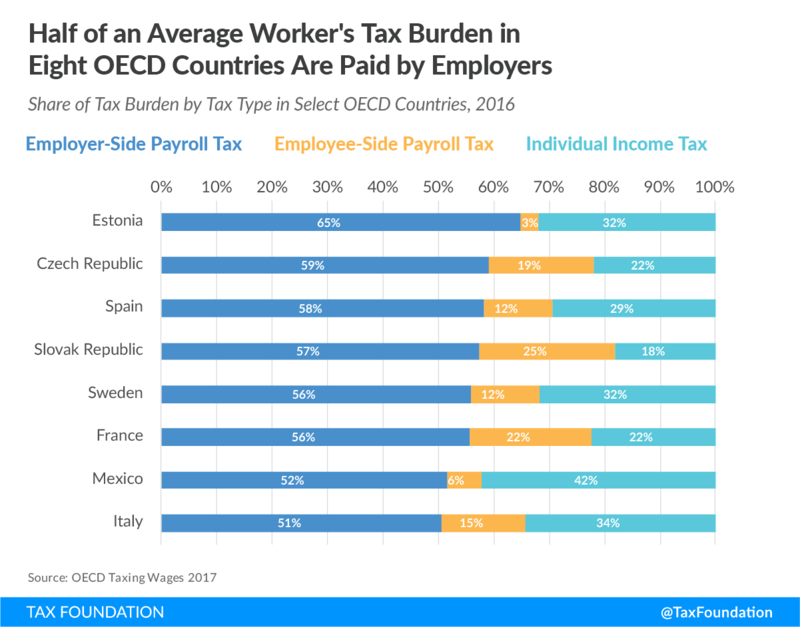 In 29 of 35 OECD countries, payroll taxes made up half or more of an average single worker’s total tax burden in 2016. The average OECD employee-side payroll tax burden in 2016 was 8.2 percent. Slovenia had the highest employee-side payroll taxes in the OECD at 19.0 percent, followed by Germany (17.3 percent) and Poland (15.3 percent). Average workers in the United States faced an effective rate of 7.1 percent. The average employer-side payroll tax burden in the OECD is higher, at 14.4 percent. France, which has the highest overall payroll tax rate (37.3 percent), also has the highest total effective employer-side payroll tax rate at 26.8 percent, followed by the Czech Republic (25.4 percent) and Estonia (25.3 percent rate). 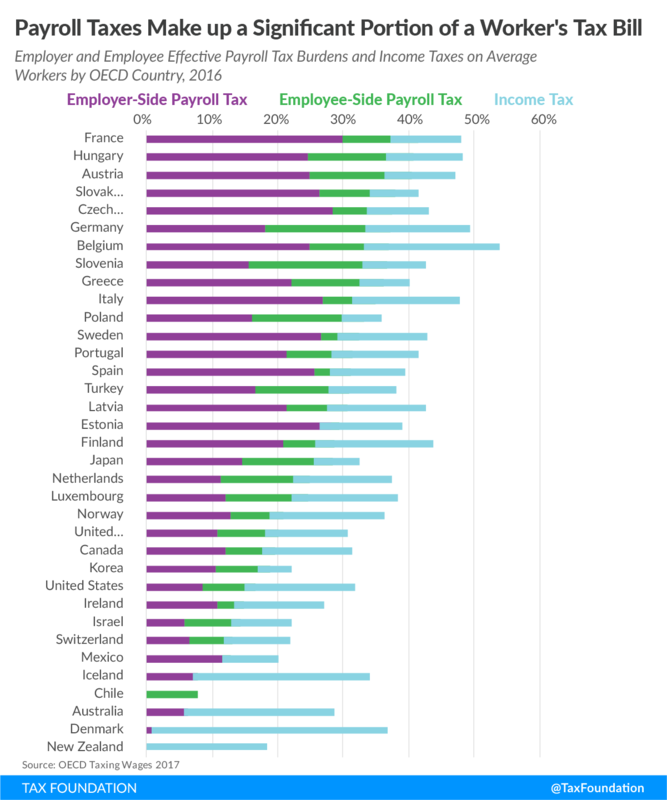 For workers in eight OECD countries, half or more of their total tax burdens were paid by their employers (Figure 4). For instance, France had an employer-side payroll tax rate of 26.8 percent, which was the highest in the OECD in 2016. This tax was 55.7 percent of the total tax burden faced by French workers. Estonia was where workers paid the largest proportion of their total tax bill through their employer payroll taxes. Its 25.3 percent employer-side payroll tax was 65.0 percent of its total tax burden in 2016. In contrast, the 7.7 percent payroll tax on the employer side in the United States only makes up a little more than a quarter (24.3 percent) of an average worker’s tax burden. Most OECD countries provide some tax relief for families with children. Comparing single, childless workers and single-earner families with two children earning the same pretax income illustrates how taxes can differ by family composition throughout the OECD (Figure 5). 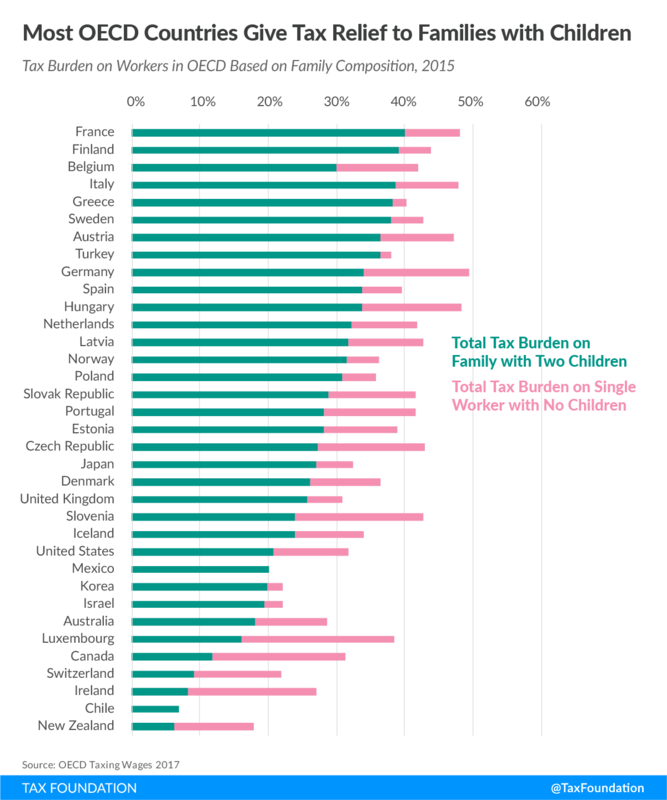 On average, the tax burden for two-child families (an average of 26.6 percent in 2016) in the OECD is 26.1 percent lower than the tax burden on single, childless workers (an average of 36.0 percent). The United States, through the Child Tax Credit, the personal exemption, and other provisions, reduced the tax burden for families with two children (a rate of 20.8 percent) by 34.4 percent compared to the tax burden on a single, childless worker (a rate of 31.7 percent) in 2016. Lower-income workers with children also benefitted more from the Earned Income Tax Credit (EITC) than lower-income workers without children. Ireland provided the largest relative reduction of taxes for families with children compared to single, childless workers. The total tax burden of a married couple with two children in Ireland (8.3 percent) was 69 percent lower than the 27.1 percent total tax burden on a single, childless worker in 2016. Mexico and Chile were neutral on rates between families with children and without children. Tax Foundation, Facts and Figures 2017: How Does Your State Compare? https://taxfoundation.org/facts-figures-2017/. Tax Foundation, “Local Income Taxes: City- and County-Level Income and Wage Taxes Continue to Wane,” Tax Foundation Fiscal Fact 280, Aug. 31, 2011. https://taxfoundation.org/local-income-taxes-city-and-county-level-income-and-wage-taxes-continue-wane. Social Security Administration, “2017 Social Security Changes.” http://www.ssa.gov/news/press/factsheets/colafacts2017.pdf. Joseph Henchman, “Unemployment Insurance Taxes: Options for Program Design and Insolvent Trust Funds,” Tax Foundation Background Paper No. 61, Oct. 17, 2011. http://taxfoundation.org/article/unemployment-insurance-taxes-options-program-design-and-insolvent-trust-funds. Congressional Budget Office, “The Distribution of Household Income and Federal Taxes, 2013,” June 2016. https://www.cbo.gov/sites/default/files/114th-congress-2015-2016/reports/51361-HouseholdIncomeFedTaxes.pdf. Elva Bova, Christina Koerus, and Sampawenda J.A. Tapsoba, “A Fiscal Job? An Analysis of Fiscal Policy and the Labor Market,” IMF Working Paper WP/14/216, 2014, 7. https://www.imf.org/external/pubs/ft/wp/2014/wp14216.pdf. Jonathan Gruber, “The Incidence of Payroll Taxation: Evidence from Chile,” NBER Working Paper No. 5053, March 1995. http://www.nber.org/papers/w5053. Here, “average wage” refers to total pretax wages of full-time workers divided by the number of full-time workers. The total payroll tax burden includes Social Security taxes, Medicare taxes, and Unemployment Insurance taxes. These effective tax rates are expressed as a percentage of total labor costs, rather than nominal wages. Thus, the OECD’s calculation that the U.S. levies employee-side payroll taxes of 7.1 percent of total labor costs is equivalent to the more familiar 7.65 percent employee-side payroll tax rate on nominal wages. Individual items may not sum to total due to rounding. This figure represents average income after employer-side payroll taxes. The number is derived by multiplying the OECD measure of the U.S. average labor cost of $56,956 by 1 minus 7.7 percent. For instance, Belgium and Germany, the countries with the highest tax burdens on wage earners, spend an equivalent of 29.0 percent and 25.3 percent, respectively, of their GDPs on social welfare. See OECD, “OECD StatExtracts, Social Expenditure—Aggregated Data, 2014.” http://stats.oecd.org/Index.aspx?DataSetCode=SOCX_AGG. Over the past couple of years, the state and local tax deduction has been a popular base broadener for the GOP. Nearly all GOP tax reform proposals from Congress and presidential campaigns since 2014 have included eliminating or limiting the deduction to pay for lower statutory tax rates. Under current law, individuals who itemize can deduct the income or sales taxes they pay to state and local governments from their federal taxable income. They are also able to deduct their state and local property taxes. The state and local tax deduction is one of the three largest itemized deductions (the other two being the home mortgage interest deduction and the charitable contribution deduction). According to the IRS, $520 billion in state and local taxes were deducted in 2014; 46.5 percent of state and local taxes were deducted by taxpayers with adjusted gross income over $200,000. Eliminating the state and local tax deduction would be a significant base broadener. We estimate that eliminating the deduction relative to current law would raise $1.9 trillion over the next decade (see Table 1, below). It is the single largest individual income tax base broadener in the House GOP Blueprint and funds most of the plan’s individual rate reductions. Although eliminating the state and local tax deduction is a centerpiece of GOP income tax reform efforts, some Republican lawmakers from higher-tax, higher-income states such as New Jersey, California, and New York have expressed concern. They worry that outright elimination of the deduction would mean that their constituents could end up paying more in income taxes. To address this potential concern, Rep. Tom Reed, a Republican from New York, is rumored to be working on a proposal to preserve the tax benefit for state and local taxes paid by converting the deduction into a credit. No details exist for this proposal, but one way to implement this would be to convert the state and local tax deduction into a 15 percent nonrefundable credit for state and local taxes paid. The idea behind converting the state and local tax deduction to a credit is to expand the tax benefit to middle-income taxpayers who currently don’t receive it, while preserving and limiting it for high-income taxpayers who currently do. 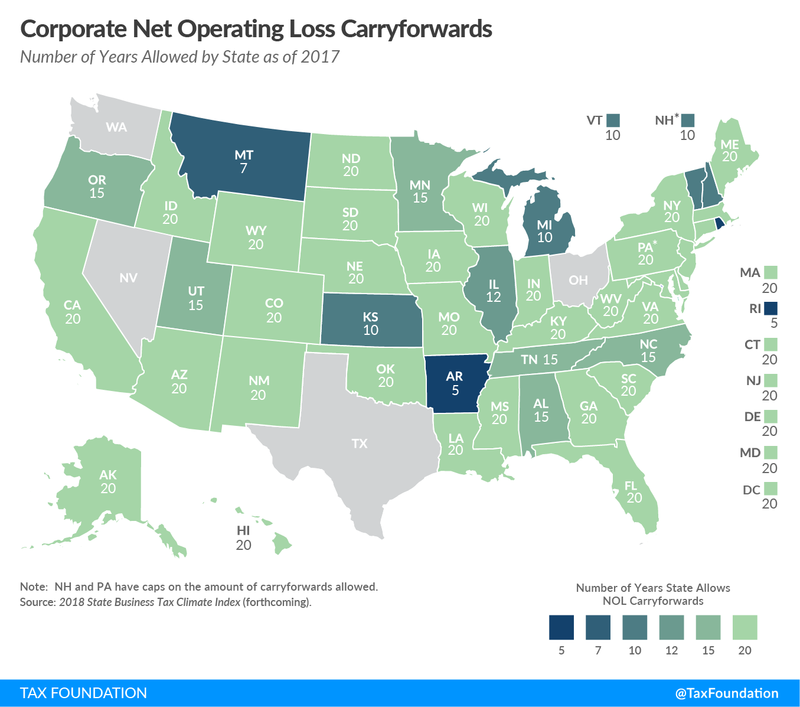 Since this conversion redistributes the federal tax benefit for state and local taxes paid, rather than eliminating it, this proposal raises much less revenue than a straight repeal. We estimate that converting the deduction into a 15 percent credit for state and local taxes paid would raise $137 billion over a decade, relative to current law, which is less than one-tenth the revenue impact of a straight repeal of the state and local tax deduction (Table 1, below). This conversion would indeed make the tax code more progressive by reducing taxes for middle-income taxpayers and raising taxes for high-income taxpayers. Replacing the state and local deduction with a 15 percent credit for state and local taxes paid would raise after-tax incomes for the bottom four quintiles by as much as 0.5 percent while reducing them for the top 1 percent by 1.1 percent (Table 2, below). Full elimination of the state and local tax deduction (without any accompanying rate reductions) would also make the tax code more progressive, by raising taxes primarily on the top 20 percent. However, in contrast to a 15 percent credit, full elimination (without any accompanying rate reductions) would slightly raise taxes on middle-income taxpayers. As stated above, the House GOP Blueprint starts with the assumption that the state and local tax deduction would be eliminated. Converting the state and local tax deduction into a 15 percent credit as part of tax reform would essentially add back to the Blueprint a tax benefit for state and local taxes paid. We estimate that if lawmakers were to add a 15 percent credit back to the GOP Blueprint for state and local taxes paid, this change would reduce federal revenue by $1.7 trillion over the next decade. In fact, the revenue impact of this would almost completely reverse the revenue gains from eliminating the state and local tax deduction. Lawmakers could limit the generosity and the cost of the credit by providing a smaller credit or by phasing it out for high-income taxpayers. However, since GOP tax reform proposals start with the assumption that there would be no federal tax benefit for state and local taxes paid, a credit of any size would reduce revenue relative to a GOP reform baseline. This presents a potential challenge for reformers given that Republican lawmakers want to reduce statutory tax rates significantly. 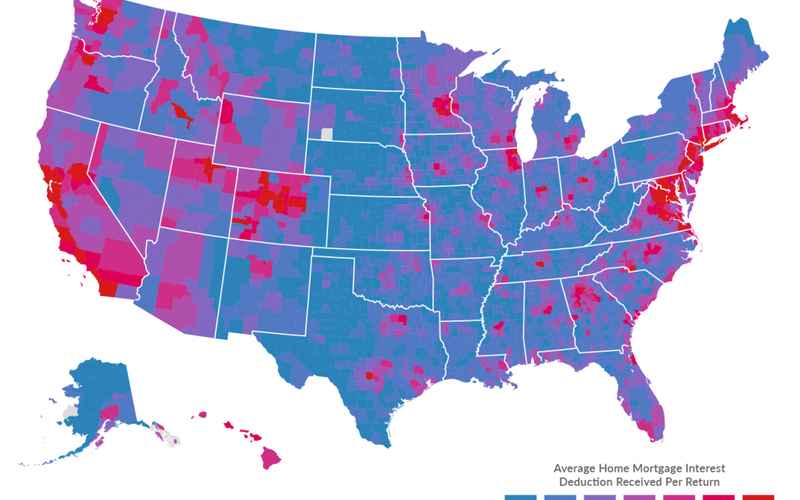 Tax Policy – Which Areas Benefit Most From the Home Mortgage Interest Deduction? 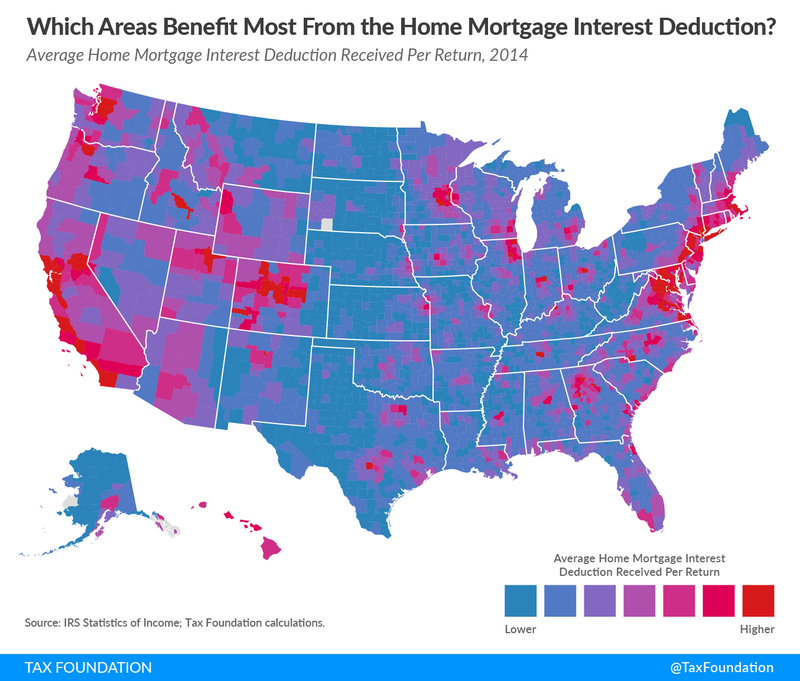 Source: Tax Policy – Which Areas Benefit Most From the Home Mortgage Interest Deduction?